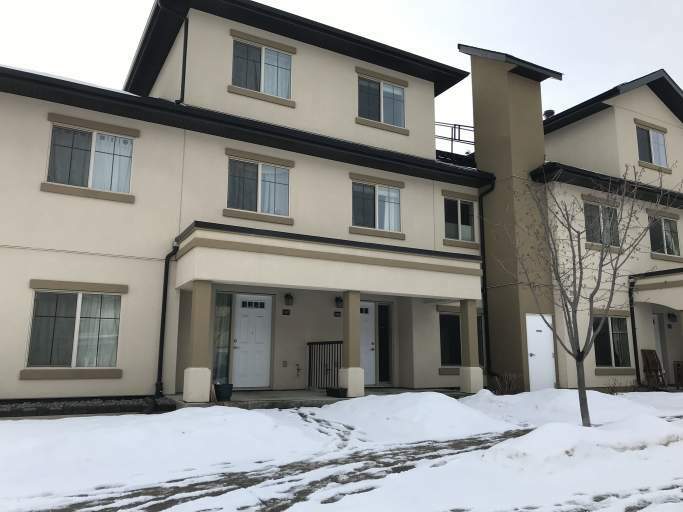 Located in the heart of Pleasantview, this 3-storey townhome is just minutes from Southgate Mall and LRT Station, which means the U of A and Downtown Core are easily accessible. Across the street is Pleasantview Park and Elementary School, making this also a great unit for families! And with Calgary Trail and Whitemud Drive just blocks away any commute is a breeze! Truly can't beat the location! The unit is full of great features including central air conditioning (A/C), high-end stainless-steel appliances and even two underground parking stalls and a storage cage! Walk inside the front door and be greeted by beautiful laminate flooring and large windows which fill the entire living room with natural light. Off the living and dining area is an open concept kitchen which boasts ceramic tile flooring, granite countertops, maple cabinetry, and stylish tile backsplash. Not to mention a large island with an eating bar and stainless-steel appliances including fridge, stove, microwave and even a dishwasher! The main floor also offers a half bathroom, further making it a perfect living or entertaining floor! The second level offers a large master bedroom which features a walk-in closet, plus, its own private full bathroom with a tub shower. Another large bedroom, a den area perfect for an office/study, and another full bathroom with a standup shower finishes off this level. The third level features a large bonus room which would make a perfect theatre or play room and stacked front loading Samsung laundry machines. This unit truly has it all! And because this unit offers its own private furnace and hot water tank, you have full control over the utilities and no longer have to share thermostats or bills! Call or email today to schedule a viewing at this great 3-storey townhouse!